The Tampa Bay region will host another Super Bowl, thanks to a construction delay in Los Angeles. NFL owners voted unanimously at a meeting Tuesday to move Super Bowl LV to Tampa due to a delay in building the LA Rams’ new stadium. In 2016, Tampa lost its bid to host a Super Bowl to Los Angeles, Atlanta and Miami, all of which have new stadiums. 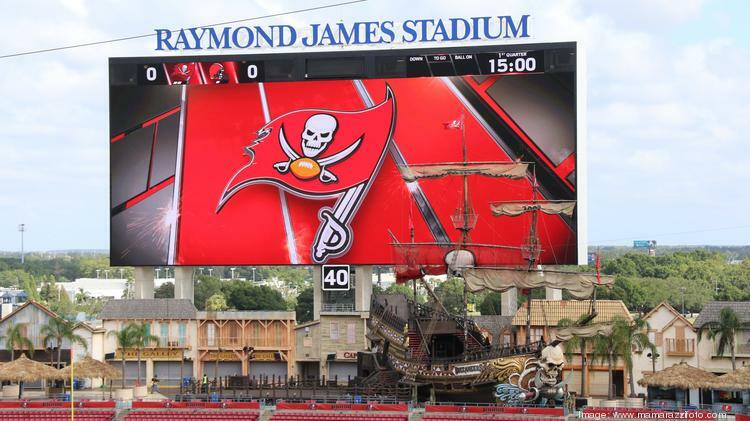 Raymond James Stadium is in the midst of a $150 million renovation. It will be the fifth Super Bowl Tampa has hosted. Los Angeles will now host the game in 2022. By 2021, Tampa should be a dramatically different city than it was in 2009, when it last hosted the Super Bowl. By then, several of the buildings in the Strategic Property Partners’ $3 billion, mixed-use district in downtown Tampa should be out of the ground. The Heights, a large mixed-use project on the Tampa Heights waterfront just north of downtown, should be close to completion as well, bringing a new food hall and events venue to the city. Rob Higgins, executive director of the Tampa Bay Sports Commission, said his organization had been monitoring the situation in Los Angeles and began to seriously prepare for the possibility of hosting the game about three or four days ago. Higgins said his group will now revisit its previous bid, reaching out to hotels, event venues and other community leaders to ensure their commitment to the 2021 game. That has to be done before the league will officially award the game to Tampa, Higgins said. “Naturally, we need to make sure that all of that is buttoned up to the NFL’s specifications and expectations,” Higgins said. The chance to host the Super Bowl comes on the heels of hosting the College Football Playoff National Championship Game, which Tampa hosted in January to rave reviews. “With billions of dollars in new projects on the horizon, visitors will have an even better experience awaiting them in Tampa Bay when they attend Super Bowl LV,” Santiago Corrada, president and CEO of Visit Tampa Bay said in a statement. This entry was posted in Tampa Lifestyle and tagged NFL, Super Bowl, Tampa on May 24, 2017 by ReedTMS.